Still frame from the missile test video hosted on a Syrian opposition social media account. Despite U.S. President Donald Trump’s announcement regarding the withdrawal of American troops from Syria, the Al-Tanf region of Homs governate still remains under the control of their armed forces and their rebel allies. The Syrian government has demanded that the U.S. forces withdraw from the Al-Tanf region; however, they have refused to concede this part of the country to Damascus. Last month a top Russian military official slammed the United States for "illegally occupying" a massive zone in southwest Syria surrounding the American garrison of al-Tanf, effectively protecting some 6,000 armed militants that Russia has designated terrorists. The Head of Russia’s National Defense Control Center, Colonel-General Mikhail Mizintsev, called the US-occupied area "the last stronghold of evil" which continues to fester with militants "on the territory of the independent state". He identified a 55 km zone surrounding the base in a desert region along the Syrian-Iraq border, which American special forces and US-backed FSA groups have held since 2016 after taking the key crossing from ISIS. 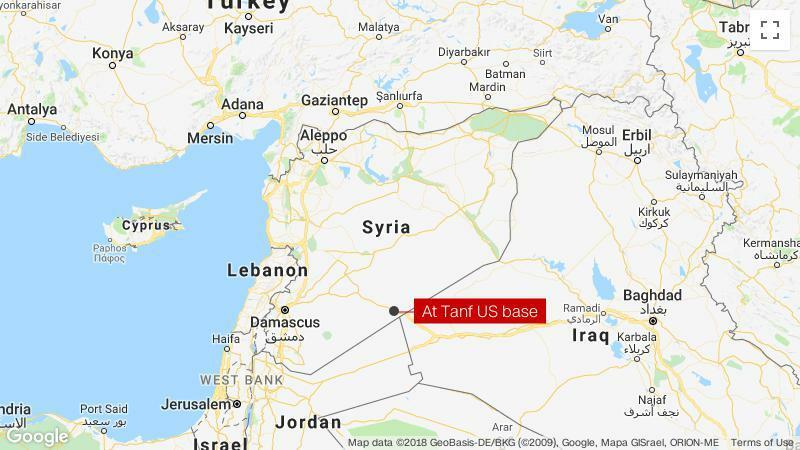 Though little of the fate of the American presence at al-Tanf has been discussed related to President Trump's recent announced complete US exit from Syria, it is presumed that the base will be abandoned to local FSA proxies, as well as potentially ISIS cells known to be in the area. The truly rare surface-to-surface missile test documented in the US-backed Revolutionary Commandos' video released this week suggests the possibility the Americans plan to leave some of these advanced weapons systems behind in a warning to Russia and Damascus.